The age range and abilities of the children in your preschool class can vary greatly, which means that not all will be ready to tackle certain life skills such as writing at the same time. Fortunately, there are many activities you can get your children doing, both in the preschool and in the home environment, to get them off on the right foot. Some children may take a while to grip a pencil properly, for example, but as long as you use a combination of the following activities, once their grip has developed, they will find the process much easier. Prewriting activities are important as they reduce stress levels in the children and build up their ability in gradual steps so it all seems manageable rather than an insurmountable climb. Making sure your class is aware of the sounds and the shapes of certain letters is the best place to start. Perhaps begin with a handful of letters each week and hold them up in class on a daily basis until they become familiar with them. You might also choose to send a list home of the letters you are looking at each week (or every few weeks), so they can practice at home too. As with everything, repetition tends to be the key with young learners. Once your class is familiar with a healthy group of letters, you can start to talk about the form of each one; whether it's curvy, straight, has a tail, a hat or a dot over it etc. This gets them thinking about the actual look of the letters. Hold up one letter at a time and get them to draw it in the air with their fingers. This is one of the best activities to start to introduce the form of letters as well as to refine small motor skills. For observational purposes, this is also valuable for you to see which children need more fine motor skills practice. One of the best ways to help children remember how to form the letters is with a rhyme or short phrase. Even if children recognize an "m", for example, they won't necessarily know where or how to start writing one. Read Write Inc. has a phrase for each letter of the alphabet, but perhaps the reading system you use has a different one, or you can easily make up your own. If we take "m" as our example again, you might have a picture of a girl called Milly next to two mountains (Milly forming the first downward stroke and the mountains making up the humps of the "m.") The phrase then goes "Down Milly. Over the mountain, over the mountain." As you repeat the phrase, make the action over a large m, so the children can see what you mean. Try combining these activities together by getting the class to say the phrase aloud and at the same time as drawing their "m" in the air. 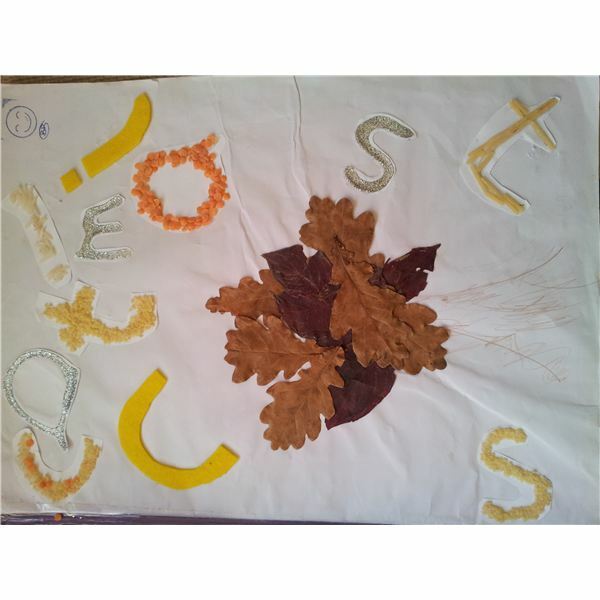 Another great way to make your young learners aware of the formation of letters is to let them create their own. This craft is a great one to do at home as well to reinforce the learning. Starting with your initial group of letters you have been looking at, write on a piece of paper each of these letters (maybe some of them repeated a couple of times) and scatter them around the page. Give one to each child. 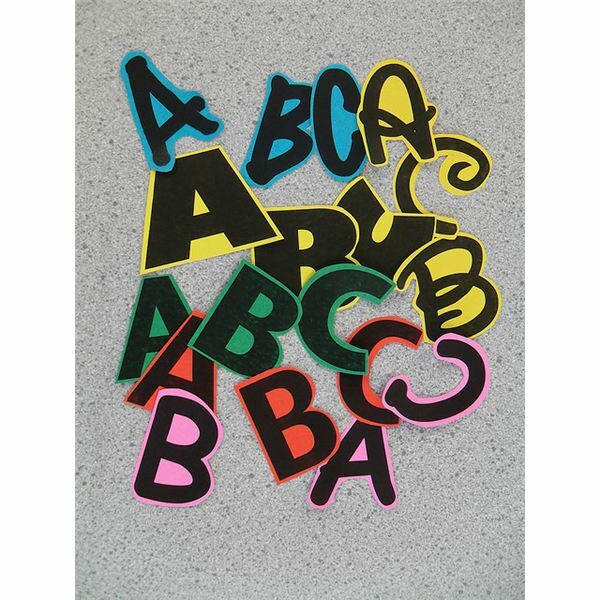 Then with the materials provided, let your students cover their letters. This is not only good as an exercise that makes them appreciation form, but you can also observe how exact they are pasting, placing and gluing as a guide to their fine motor skills progress. When everything is dry, you can either put them up on the wall (low down so they can be touched), in their busy books, or let them take them home. Encourage them to trace their fingers over them at every opportunity as if they are writing in the air again. The tactile nature works really well with some learners to drive the point home and is much better than the visual clues. Then let them substitute writing in the air, for writing in the sand etc. You could provide sticks or straws for drawing instruments if you wish. 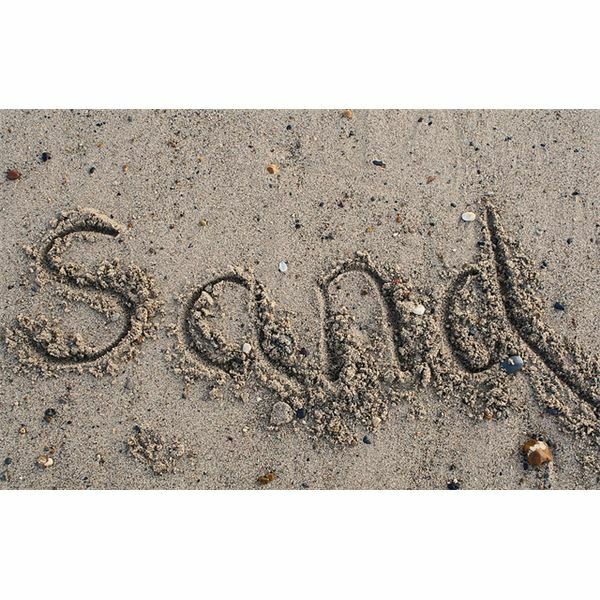 Another activity that utilizes these materials involves hiding letters to be found within the tactile substances. Obviously, you will use something plastic or rubber that wouldn't be destroyed by any of the wet or gooey substances. Learners with less advanced motor skills might find this a suitable alternative at this stage because while it still encourages letter recognition, it is less demanding of their coordination. No doubt your preschoolers are used to holding a brush or a pencil, and a bit of encouragement to form the correct grip probably isn't too much of a stretch at this age, even if what they record is just scribbles. Forming a correct grip can make all the difference in the world. 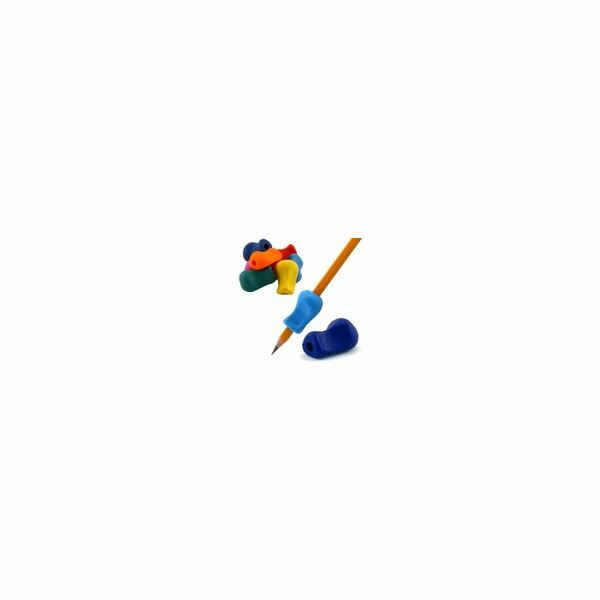 You may choose to provide pencil grips at this stage that encourage them to hold their pencil in the tripod grip; although this isn't always necessary it certainly helps those that are struggling with their fine motor skills. They are usually triangular (although they come in a wide range now), slip over the pencil easily, and these basic ones are inexpensive. Not only do they help to form the correct grip, but they also have a nice feel to them that makes holding the pencil more comfortable and slips are less likely to happen. From here, just let them do some mark making in whatever form they wish. You might want to encourage them to form curves, circles and swirls, or dots, lines and crosses — just see what they come up with. 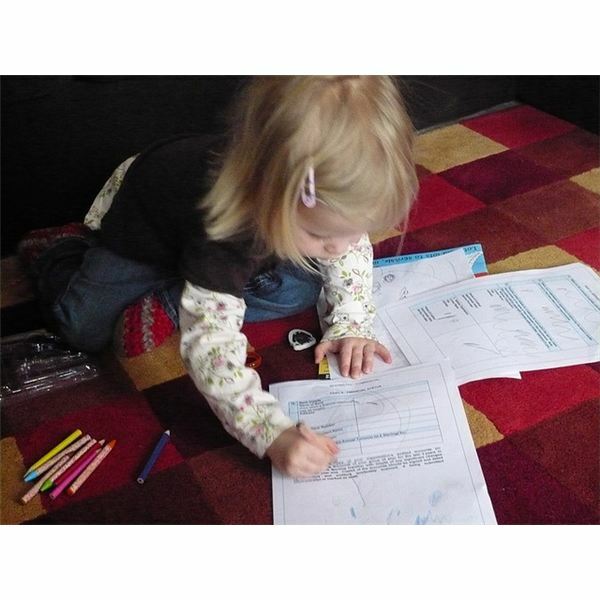 More advanced children might well be ready to do some tracing or copying of straight lines, zig-zag lines or wavy lines. Learning to write can be difficult, but is an essential life skill to develop. Using these prewriting activities should be a lot of fun as well as training your young learners' fine motor skills and building on their letter recognition. If they have these basic skills on starting kindergarten, the whole process of learning to write will be that much smoother. Written using author's own experience of tutoring preschoolers.